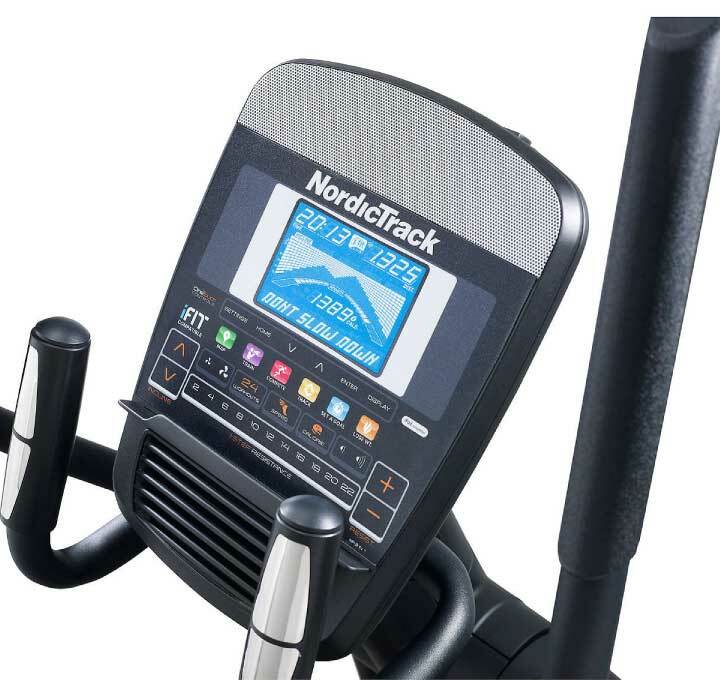 For over 25 years NordicTrack® has been at the forefront of innovation in the fitness industry, forging a legacy in premium home fitness equipment. 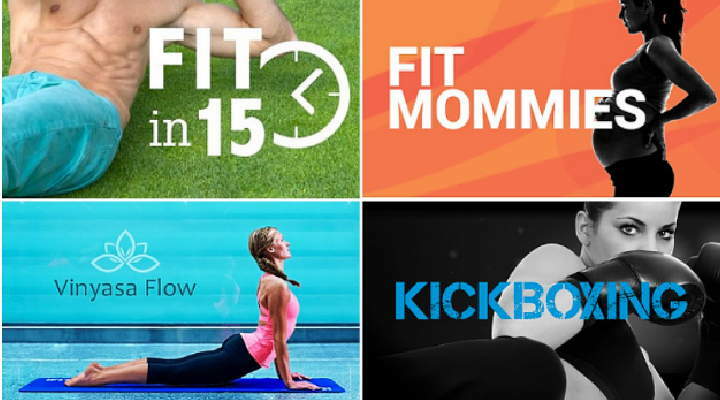 Start up your fitness program today, without the hassle. 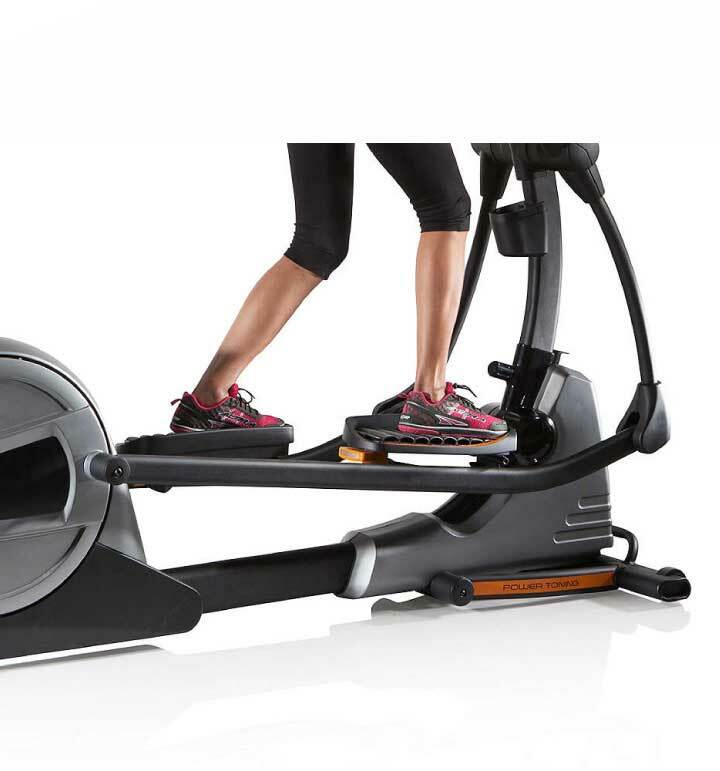 The NordicTrack E10.0 Elliptical Crosstrainer assembles out of the box in 3 easy steps. 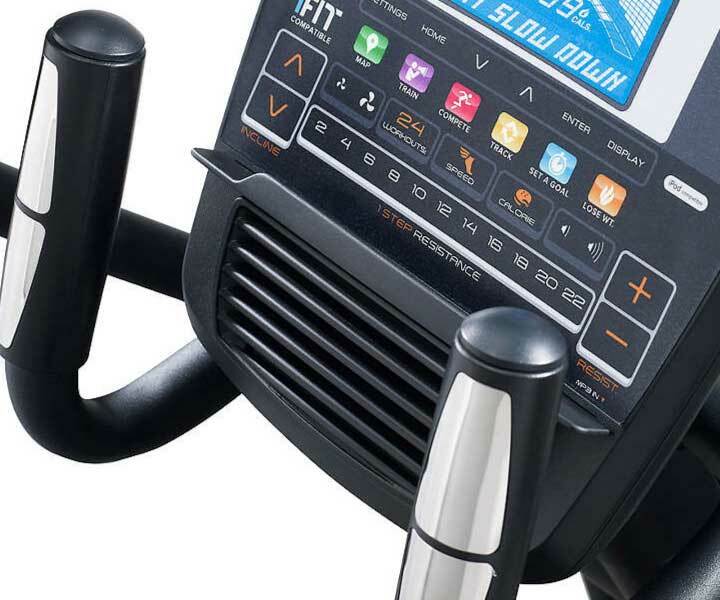 Once it's been built, this elliptical delivers a powerful, results-driven workout. 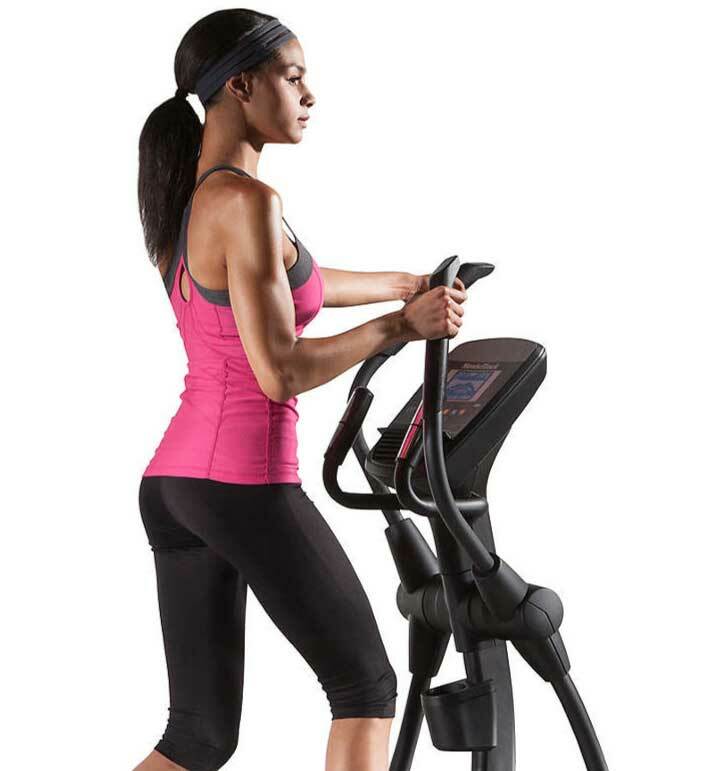 Change the motion of your stride with the Power Adjustable Incline function, targeting and tightening lower body muscle groups. The AutoBreeze workout fan automatically adjusts fan speed to match the speed of your workout, keeping you cool during challenging workouts. When you're done, the E10.0 folds up for easy storage, making it ideal for home use. 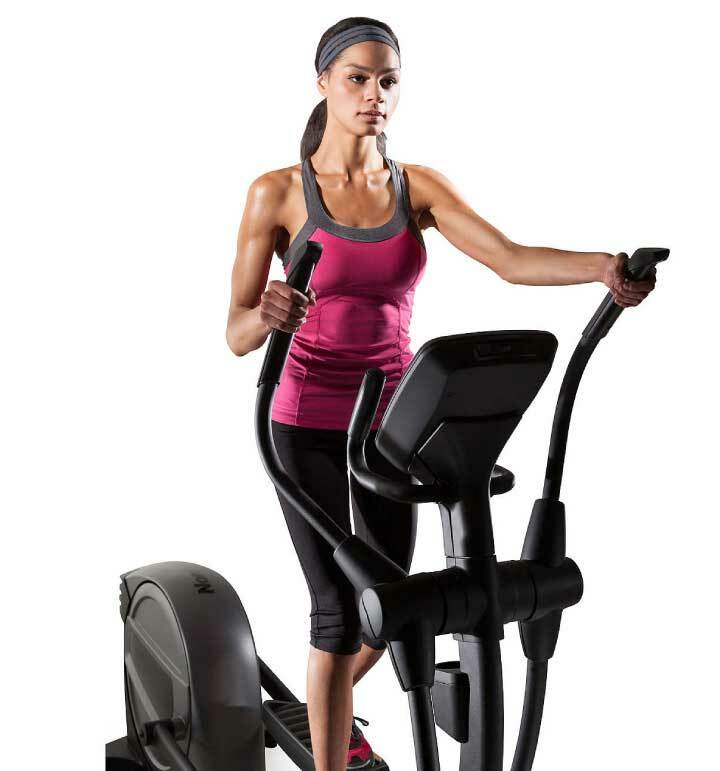 This elliptical offers a five-point stride advantage that lets you truly customize the feel of your workout: 1) Rear-drive design delivers a flatter, truer elliptical path that closely resembles natural stride ergonomics. 2) Oversized pedals offer options for close or wide feet placement. 3) The heel-to-toe angle of pedals adjusts for comfort. 4) Extra-tall workout arms allow you to perfectly position your grip height. 5) The flywheel weight is not too heavy or too light for a natural-feeling stride rhythm. 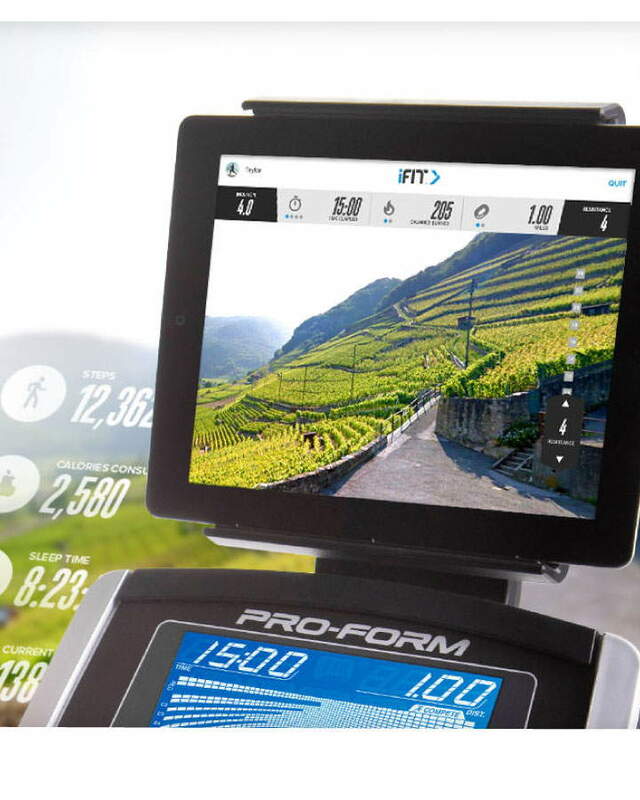 A revolutionary interactive training program, iFit technology helps you get much more out of each workout. 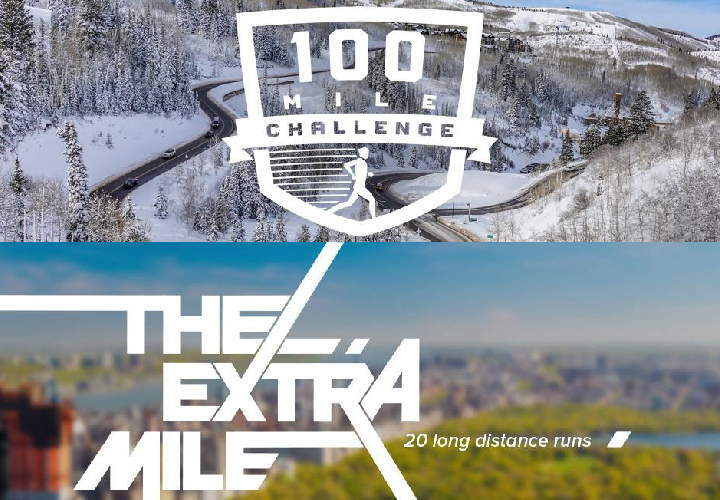 Track your progress, replicate real-life runs with Google Maps™, take your training worldwide, and custom-tailor your workouts to your specific goals. Or get the training you want with the built-in workouts designed by a Certified Personal Trainer to help you reach your fitness goals. Choose from 12 calorie and 12 performance workout apps. Console: 5" Backlit LCD Console displaying Time, Resistance, Distance, Pulse, Calories, RPM. Programs: 24 Built-in Personal Trainer Workout Programs. Resistance: 22 Digital Resistance Levels with SMR (Silent Magnetic Resistance). 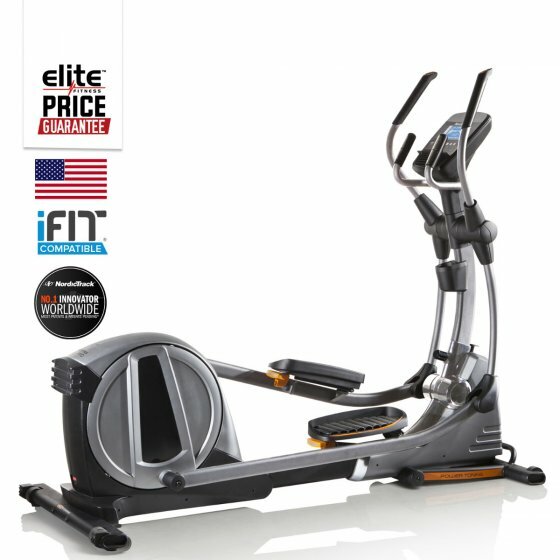 Incline: 0°- 20° Power Adjustable Incline which adds extra levels of intensity to your workouts. Flywheel: The 10kg Inertia-Enhanced Flywheel gives you a smooth and steady pedal stroke with the effective inertia made to perform. 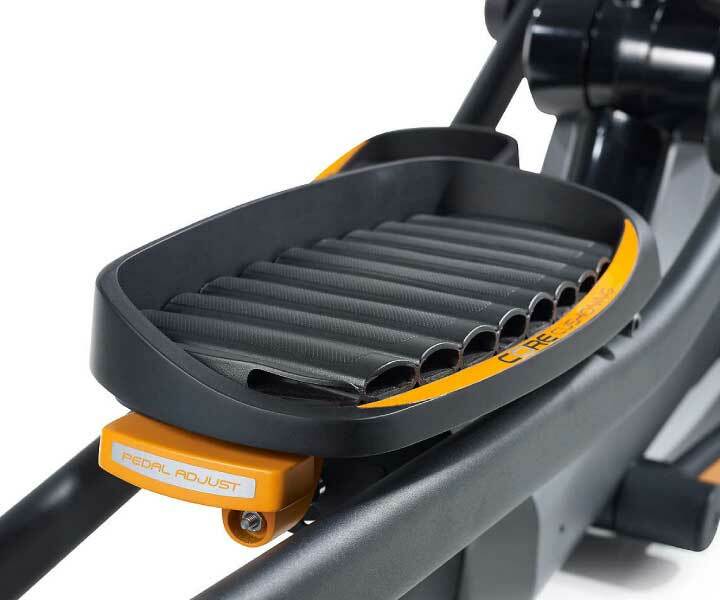 Rear Drive System: With design guided by ergonomics, the distance between the pedals (Q Factor) on this rear drive elliptical is the same as a front drive elliptical. iFit® Compatible: iFit Smart Technology uses requires the iFit module for iFit features and has an integrated tablet holder. 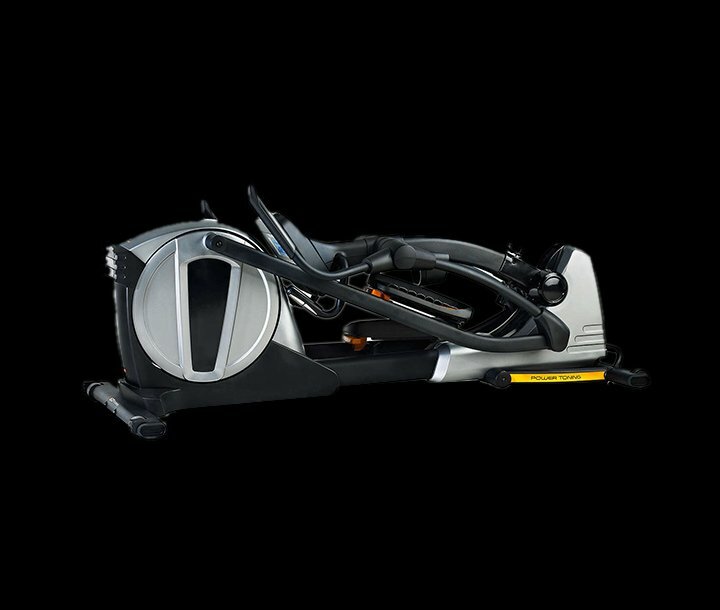 AutoBreeze™ Workout Fan: Stay cool and comfortable with the oversized fan that adjusts its speed to match your workout. 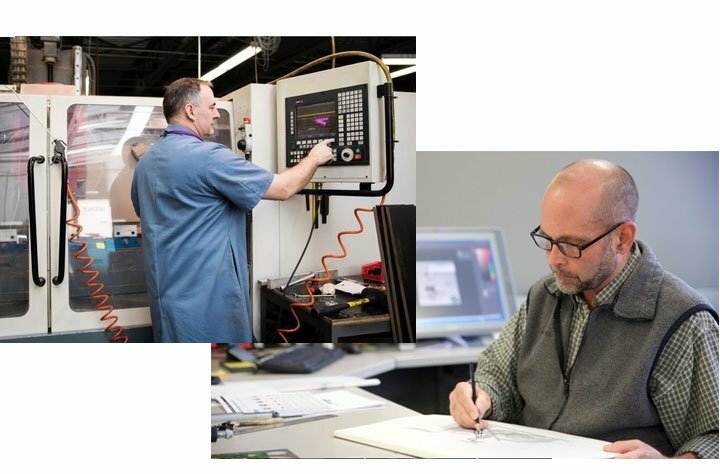 SNAP Assembly: Elliptical assembles in minutes, just takes a few simple steps to set-up. Vertical Spacesaver® Design: Fold your elliptical on its end and wheel it out of the way for storage.